Sarah Healey, Director-General, Department for Exiting the European Union, describes the role of the new department and how it has been created from a standing start. Establishing a brand new government department is a substantial task. Establishing the Department for Exiting the European Union (DExEU) has felt like one of historic proportions. We have been creating the department that will lead the most complex challenge for government since the Second World War. From its early days, the senior leadership of DExEU has been clear that while it will lead negotiations to leave the European Union and work to ensure the consequences of leaving are well managed, we will do so by drawing on expertise within departments rather than duplicating it at the centre. This is the right decision for the short term, causing least disruption and making best use of expert resource. It is also right for the long term, when DExEU has completed its task and it will be individual departments that lead our new relationship with Europe. What this means in practice is that we have deliberately challenged ourselves to stay lean. We have also worked hard to build collaborative and open relationships with the rest of Whitehall. To complete such a complex project, collaboration across departments is absolutely vital. We consistently want to be a model of how work is commissioned from and pursued with departments. Additionally, we need to be highly flexible. As a time-limited government department leading a big project we are an unusual creature, and we will have to adapt our size and approach as the Brexit project develops through its different stages. Early on, we set out what the right size and shape for this first phase of work should be. This was vital in an expansion that was extraordinarily rapid. The number of people in DExEU in London on day one had quadrupled only two months later. We established teams and roles for our new people, found accommodation, supplied IT and set up the key finance processes for supporting a government department all in a few weeks. That is testament to how nimble and flexible the Civil Service can be, and how collaborative and generous other departments have been in supporting us, not to mention the result of a lot of hard work. Not everything about the department is wholly new. 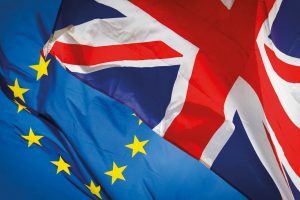 DExEU incorporates three pre-existing organisations or units – the European and Global Issues Secretariat (EGIS), parts of the Europe Directorate from the Foreign & Commonwealth Office, and the UK Permanent Representation to the EU. We benefit hugely from their knowledge and expertise and they have shown remarkable flexibility in coping with the ‘machinery of government’ changes affecting them. However, we are not simply amalgamating these units and doing the same as before. We are building a new organisation to deliver our exit from the EU. More than half of the staff now in the department in London were not working in any of those predecessor organisations when the department was created. They come from all over Whitehall, giving us a unique opportunity to build a new department by drawing on a wide variety of skills and experiences and knowledge of what works well. We have also drawn on external expertise and will continue to do so. The work DExEU will deliver is significant, but also rewarding for those involved. The experience our staff receive will provide them with an exciting opportunity to make a substantial contribution and develop their career. All of this has been done while getting on with the necessary work to equip ministers to make decisions about how to approach our exit. This work is being done swiftly, aiming to offer ministers the highest possible standards of impartial advice. In that sense, as we approach a new and challenging task with a new organisation, we have a great opportunity to live up to the best traditions of the Civil Service.